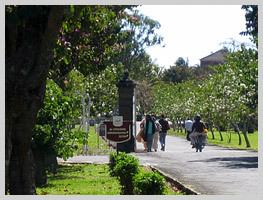 The Pamplemousses garden, the oldest botanical garden in the Southern Hemisphere, contains a huge collection of botanical species, including Trochetia Boutoniana (earring tree), which is the country's national flower. The gardens are home to more than 500 species, including several extremely rare specimens, such as the Talipot palm, which flowers only once after around 50 years with a magnificent inflorescence that is destined to wilt rapidly. 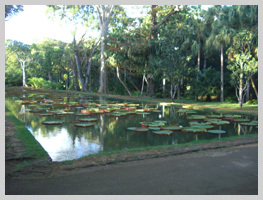 The main attractions of the gardens include the Victoria Regia genus of giant water lilies from the Amazon. 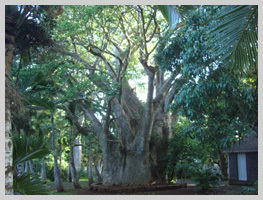 The garden is also home to many specimens of golden bamboo, rubber trees, poisonous plants, a 200 year-old ficus religiosa (peepul tree) and, in honour of Christian visitors, a tree with crucifix shaped leaves. The richly scented air is one of the keys to the attraction of the gardens: ginger, cinnamon, nutmeg, camphor, and sandalwood fill the air with fragrant and exotic perfumes. 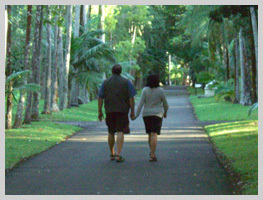 The botanical gardens are also the site of an art gallery and a cemetery. The entrance features spectacular wrought iron gates and the island's oldest church, dedicated to San Francesco and built in 1756. 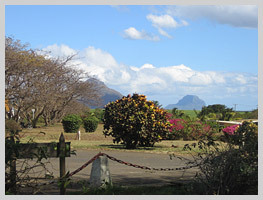 However, Mauritius also offers a wide selection of excursions with guided tours around various plantations in all parts of the island. 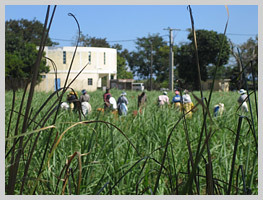 The most important farms are sugar cane and tea plantations, although the island also has plantations of vanilla, tobacco and various spices. Apart from their obvious cultural interest, these tours also allow visitors to taste the local produce and purchase top quality fresh herbs and spices.